Director of Wine Education and a professor and research climatologist in the Department of Environmental Studies at Linfield College. He specializes in the study of climate structure and suitability for viticulture, and how climate variability and change influence grapevine growth, wine production and quality. He holds a BA and Ph.D. from the University of Virginia in Environmental Sciences with a concentration in the Atmospheric Sciences. 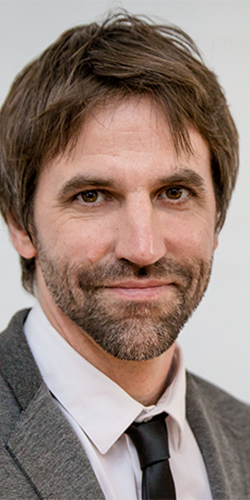 His teaching and research interests include meteorology, climatology, hydrology, and agriculture; phenology of plant systems; biosphere and atmosphere interactions; climate change; and quantitative methods in spatial and temporal analysis. His dissertation was on the climatology of viticulture in Bordeaux, France with a focus on the spatial differences in grapevine phenology, grape composition and yield, and the resulting wine quality. 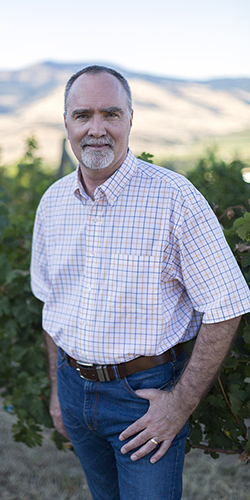 He conducts applied research for the grape and wine industry in Oregon and has given hundreds of international, national, and regional presentations on climate and wine-related research. 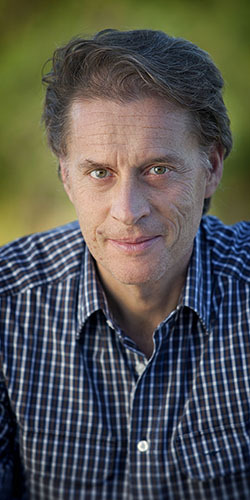 He is the author of numerous book chapters, including being a contributing author to the 2008 Nobel Peace Prize winning Intergovernmental Panel on Climate Change Report, and other reports and articles on wine economics, grapevine phenology, site assessment methods for viticulture, climatological assessments of viticultural potential, and climate change. He was recently named to Decanter Magazine’s 2009 Power List representing the top 50 most influential people in the world of wine and the Oregon Wine Press’s 2009 Wine Person of the Year, and has been in the top 100 most influential people in the US wine industry in 2012 and 2013 (intowine.com). Recently he was named Honorary Confrade with the Rank of Infanção (Nobleman) from the Confraria do Vinho do Porto. London-based wine writer, lecturer, wine judge and book author. With a PhD in plant biology, he worked as a science editor, before starting wineanorak.com, one of the world’s most popular wine websites. He is columnist for UK national newspaper The Sunday Express, and writes regularly for a range of publications, including The World of Fine Wine, Meininger’s Wine Business International, Noble Rot, Wine & Spirits and Drinks International. He is in demand as a speaker/lecturer and also a wine judge, and as well as being one of the co-chairs for the International Wine Challenge, is overseas judge for the Top 10 Chenin Blanc competition in South Africa and WineAlign’s National Wine Awards of Canada. 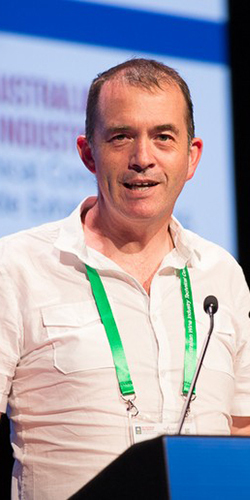 He has recently been a keynote speaker for the Cool Climate Wine Symposium, the New Zealand Sauvignon Blanc Celebration, the Australian Wine Technical Conference and Texsom. He’s also prolific on Twitter (@jamiegoode) and Instagram (@drjamiegoode). 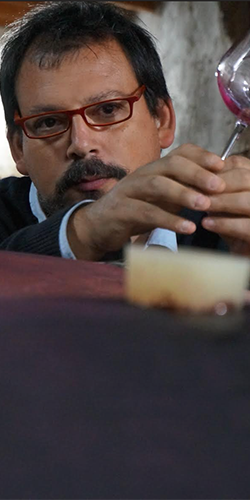 Pedro Parra is a terroir expert and consultant. He holds a Ph.D from the Institut National Agronomique de paris Grignon (2001-2005) and a Master degree on Precision Agriculture from the same Institut (97-98). He foccuses on understanding the relationship between wine and terroir. He spent the last 11 years looking at vine roots and tasting wines in many different places in Chile and around the world. His clients are mainly located in Chile, Argentina and Italy, but also in Sonoma, Okanagan, Armenia, Uruguay and Burgundy. With Francois Massoc and Louis Michel Liger Belair, he created Aristos, one of the most awarded projects in Chile. He also contributed to the creation Clos des Fous, focussing on extreme Chilean terroirs, and Altos las Hormigas, in collaboration with Alberto Antonini, Antonio Morescalchi and Attilio Pagli. Alberto Antonini is an Italian oenologist and grower- producer and a consultant to a large number of wineries in various countries including Italy, the U.S., Argentina, Canada, Chile, Uruguay, Armenia and Australia. His education includes a Doctorate in Agricultural Studies from the University of Florence, and an oenology degree in Bordeaux and at the University of California. His career started as an assistant winemaker at Frescobaldi Winery and then as technical director at the Col D’Orcia Winery in Montalcino. Afterward he was named Head Winemaker at the Antinori Winery before starting his own consulting business in 1997. In 2013 and in 2015, The Drink Business and Decanter respectively ranked him among the Top 5 Wine Consultants in the world. He is cited as a key player in helping Argentine Malbec wines gain international appreciation and reputation. He is also playing an important role in helping and encouraging wine producers in different viticultural regions to go back to indigenous grape varieties and local winemaking techniques, focusing on authentic, terroir-driven wines. His mission is to give a small contribution towards making the world of wine wider, more diverse and more interesting of it is now. Equiterre cofounder and senior director Steven Guilbeault is an environmentalist who has focused on climate change since the early ‘90s. He worked for Greenpeace Canada and Greenpeace International for ten years, was senior advisor for Deloitte and Touche, and has contributed to such media outlets as the Métro newspaper, Radio-Canada, La Presse and Corporate Knights Magazine. Throughout his career, Steven, who co-chaired Climate Action Network International for five years, has attended many UN climate meetings – an experience that in 2009 served as the topic for his first book, Alerte! Le Québec à l'heure des changements climatiques. He is a member (since 2009) of Quebec's Cercle des Phénix, an honorary society for environmentalists, and an honorary fellow of the Royal Canadian Geographical Society. French newspaper Le Monde has called him one of the world's top 50 players in sustainable development. In 2012, the Université de Montréal awarded him its medal for lifetime achievement, a distinction shared by the likes of Christopher Reeve and Oliver Jones. In 2014, he published his second book, Le prochain virage, with co-author François Tanguay.